Luxurious all-suite, 3 star rating hotel, conveniently located right off of Interstate 5 in Redding. Featuring complimentary full hot buffet breakfast and evening reception with hot and cold appetizers and beverages. Rooms feature Sealy Premium beds, coffee makers, microwaves, refrigerator, TV, iron and ironing board, hair dryer, commercial grade WiFi, data-port, voice mail and free local and 800 calls. Complimentary USA Today. 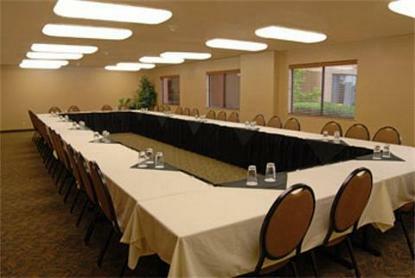 24-hour gift shop, movie rentals, and business center with high speed internet access. Walking distance to a variety of restaurants and shopping. Outdoor heated pool and hot tub.